Studio in Chorges "between lake and mountain"
Property 11: Studio in Chorges "between lake and mountain"
At the heart of the village La Joue du Loup and 100 m from ski slopes and ski schools. 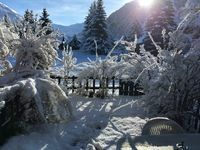 Property 16: At the heart of the village La Joue du Loup and 100 m from ski slopes and ski schools. Property 21: Discover the wildest valley of the Ecrins! Large studio with balcony in the center of the resort slopes and the Télémix. Property 32: Large studio with balcony in the center of the resort slopes and the Télémix. Property 45: An attractive apartment for 4 persons in the Super Dévoluy. Id&eacute;alement situ&eacute;, parfait pour 4. Nous reviendrons.